Love this set. It was very affordable so I was a bit worried about quality. 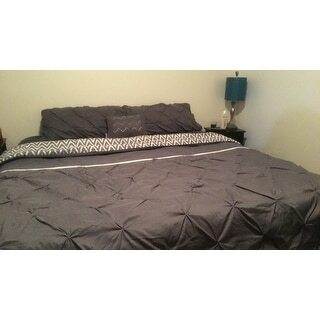 It seems to be well made the sheets are soft enough, not the softest ones I own but they are plenty comfortable. This stylishly modern, twenty-piece bed-in-a-bag set includes curtains and sheets to create a cohesive look in your bedroom. Soft brushed microfiber in a stylish grey color will complement many styles. Featuring a diamond pin-tuck design with geometric chevron print on the reverse for more decorating options. The digital images we display have the most accurate color possible. However, due to differences in computer monitors, we cannot be responsible for variations in color between the actual product and your screen.Care Instructions:Dry clean preferred. Machine washable, use front loader machine (or top loader without agitator) to avoid tearing, use cold water in gentle cycle, tumble dry low heat, adding 2 tennis balls in the dryer will add fluffiness. The sheets and comforter or very soft and comfortable but the fitted sheet does not fit well around our king sized bed. It falls off a corner almost every night. I recently noticed some of the stitching in the rousching on the pillow has already come off and I’ve only had it for about a month or two. This arrived in great condition. Looks exactly like the picture. Good quality. I was worried that after I washed it, it may come apart. It was still thick and in great condition. Very cute once all put together. 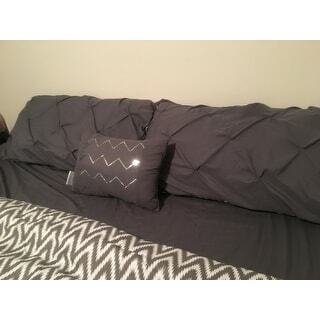 The comforter is the normal thickness. Not to thin or thick. 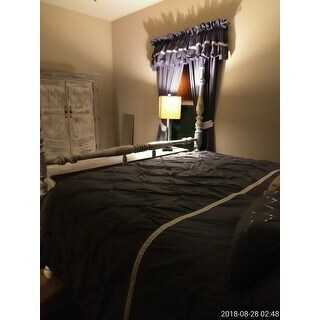 It is definitely work the price considering the curtains it comes with and the quality. 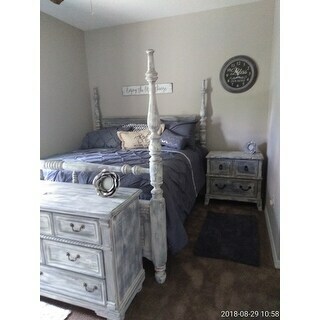 I bought this set for my mom's bedroom for when she comes to stay in the winter. I love it, it's made well and at a great price. I would recommend the to anyone. In the pictures it looks blue, but it is grey. I LOVE this bedding set. It's the color I expected and It goes perfect with my area rug. The quality is amazing. It's hard getting out if the bed in the morning! Package was received in the time frame promised. Excellent communication during the shipping process. We love the comforter set! Excellent purchasing experience! Very pretty. Color is spot on. 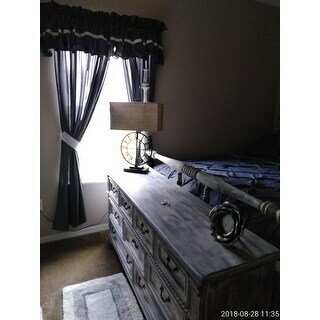 Makes our guest room feel elegant. Love this set, great for the price. great deal & exactly what we wanted! "Thread count for the sheets?"